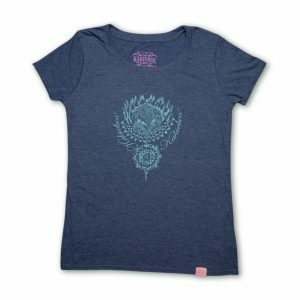 Ladies t shirts by Kakiebos. Browse or buy t shirts! 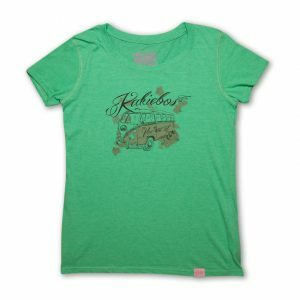 Kakiebos t shirts are designed for South African women. The t shirts have a casual or smart casual feel. 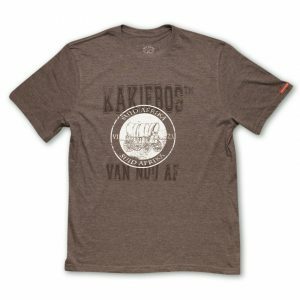 Enjoy everyday flair and comfort with your Kakiebos shirts. Be proud of your South African heritage, wear Kakiebos. All Kakiebos t shirts are of top quality, made from a blend of polyester and cotton or 100% cotton. 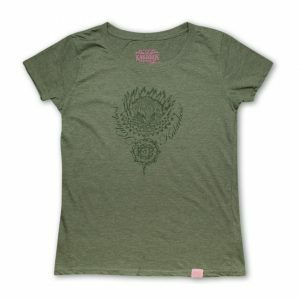 Ladies sizes range from small to 2X Large. No Stock in your size? Contact us and ask. The print designs have a trendy vintage feel. They depict a range of items from flowers to romantic vehicles. Kakiebos designs are unique. Designs are seasonal, come back soon for more. 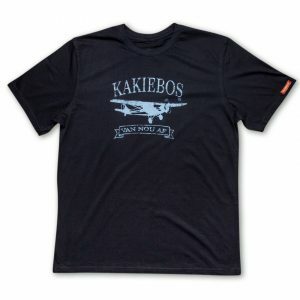 See the full Kakiebos range here. 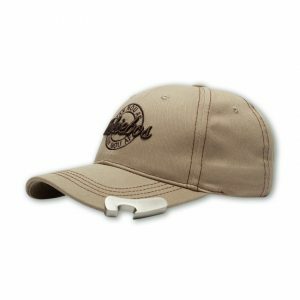 Although we don’t sell the full range on this website, we may be able to find items you are looking for.